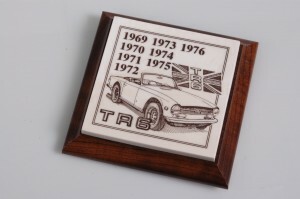 I created this group of unique Triumph Collectibles in the early 1980’s and then retired them a few years later. 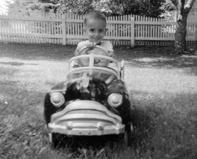 I have decided to bring back the line and offer some timely updates. 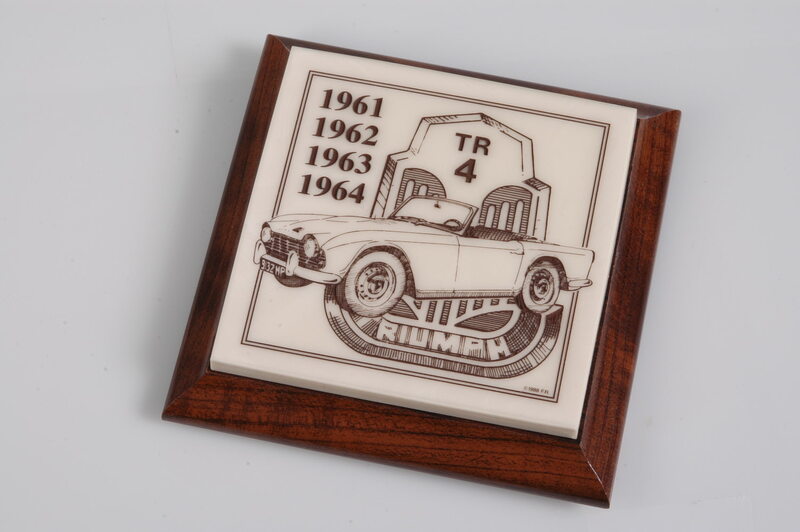 All Triumph models are available in each product. 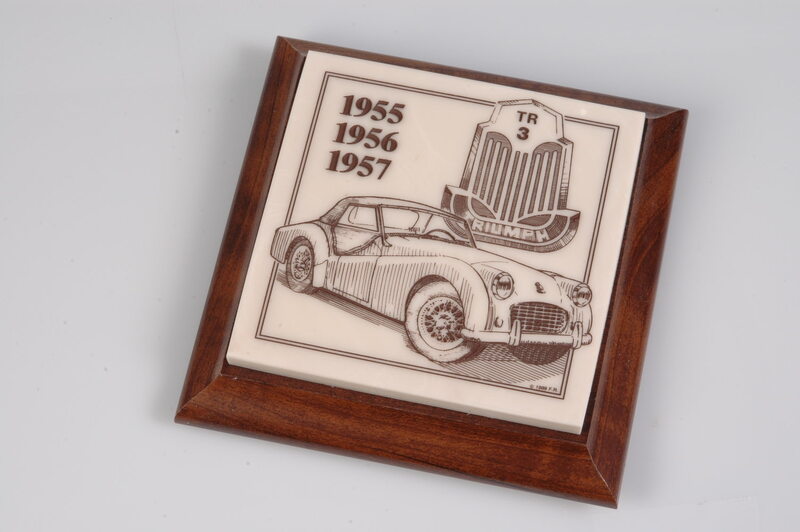 A handsome addition to any Triumph enthusiast’s desk area. 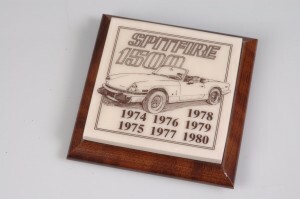 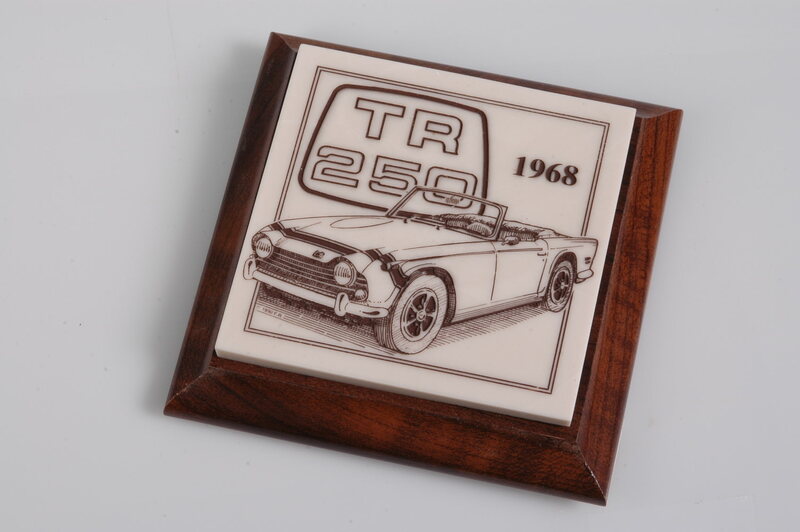 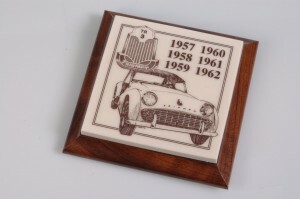 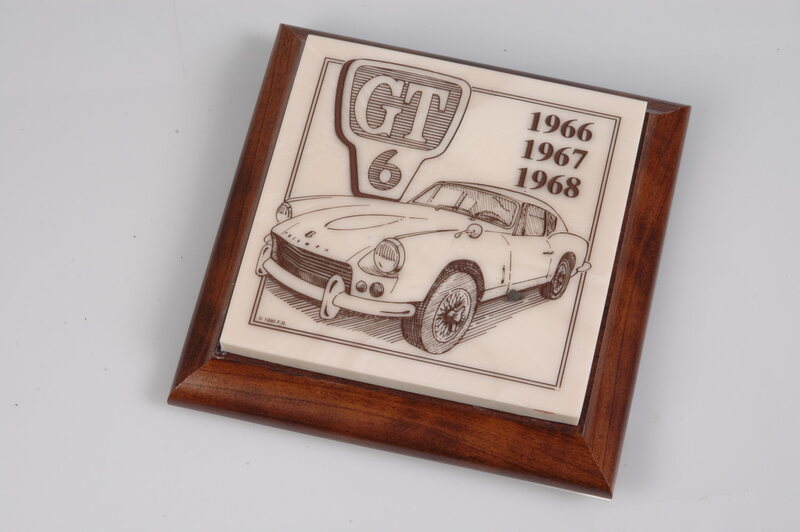 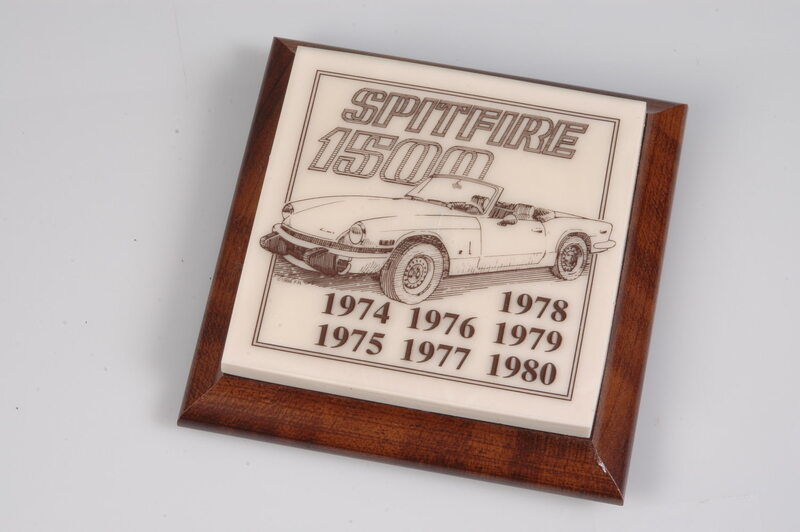 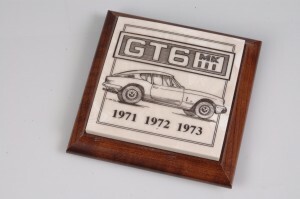 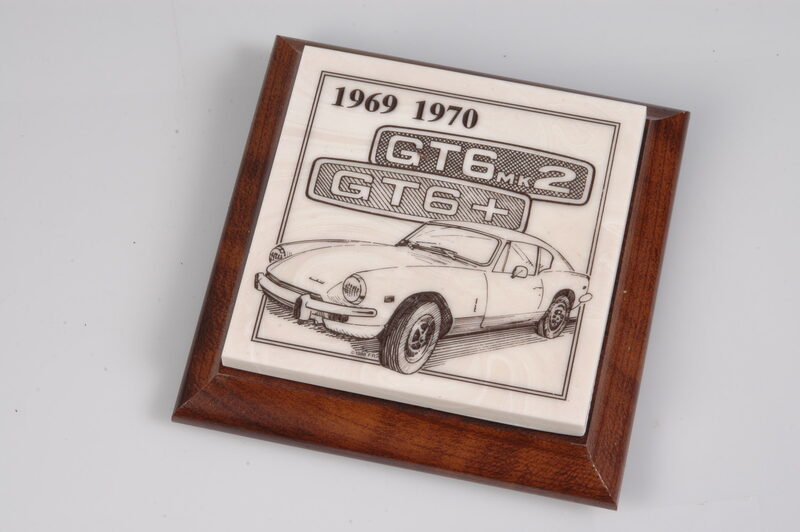 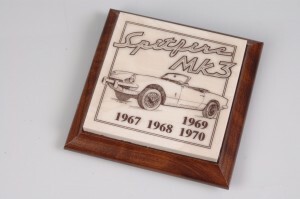 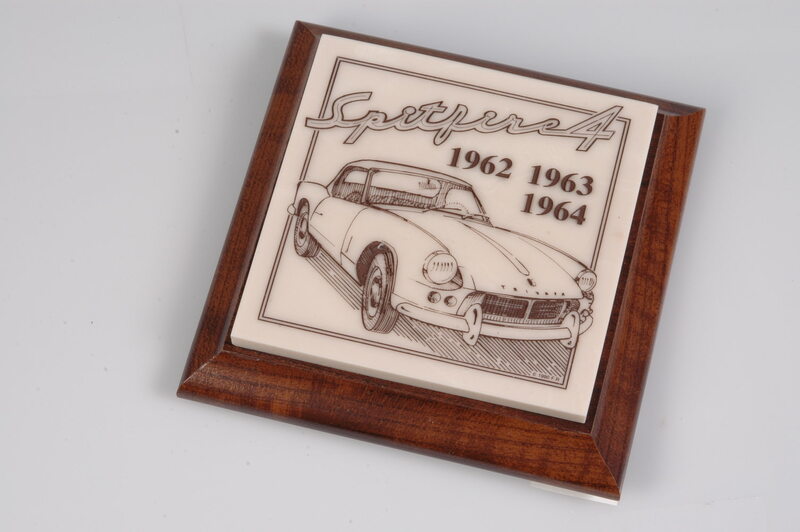 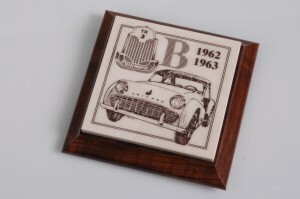 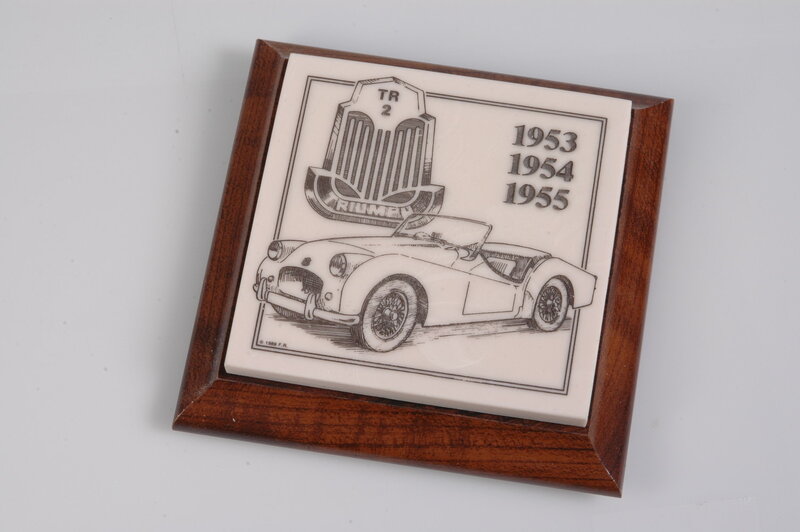 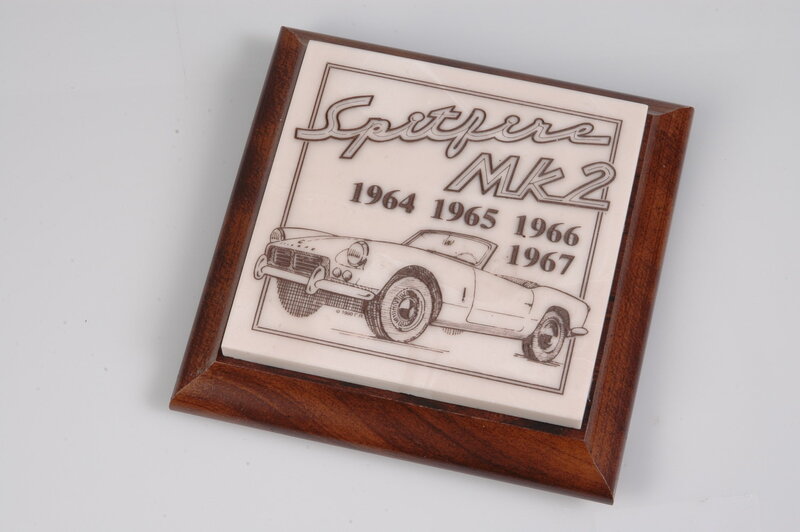 This Flashback Racing original consists of a beautiful 4″x 4″ hand cast, hand colored cultured marble tile depicting your favorite Triumph sports car and it’s years of production. In that each Flashback Tile is hand made, shading of the cultured marble tile will vary from tile to tile. The tile is attached to a 5″x5″ wood tone base which is finished with non scratch felt pads. The perfect item to keep that stack of restoration invoices in perfect order! 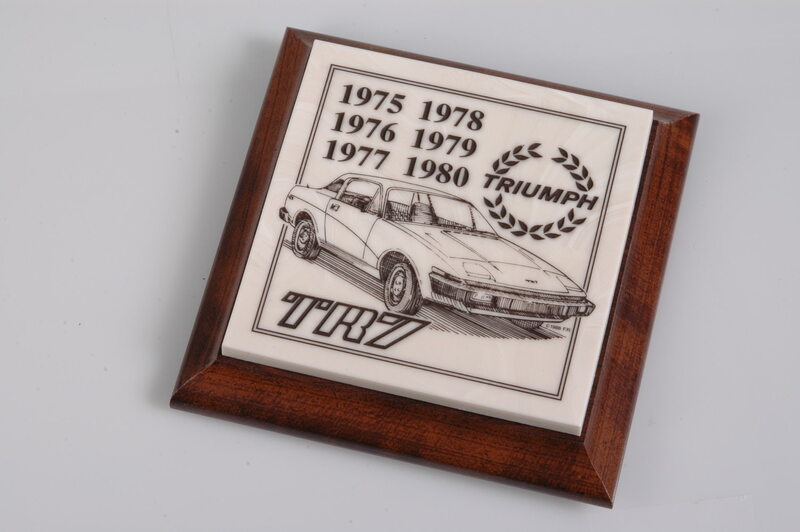 Click on any image to see a close up view and the detailing in each tile. Flashback Triumph V.I.P. Paperweights are offered at $16.00 plus $5.00 shipping. Any two V.I.P. 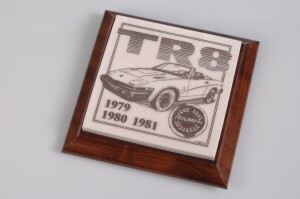 Paperweights for $30.00 plus $8.00 shipping.